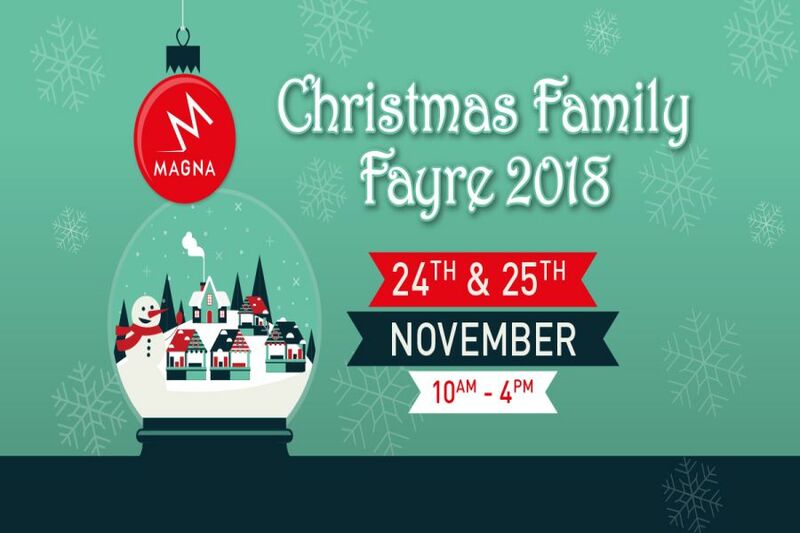 Get into the Christmas spirit with a visit to Magna’s Family Christmas Fayre on Saturday 24th and Sunday 25th of November 2018. Open from 10am to 4pm, featuring a mix of over 60 seasonal craft and gift stalls, festive food and drink, family entertainment and free parking; it really is a fun day out for all the family! With festive children’s activities, traditional fairground rides, and the chance to meet Father Christmas in his grotto – this makes for the perfect family day out to kick off the festive season. Due to popular request 50% of our Family Christmas Fayre tickets have been released for presale. Tickets cost £2.50 per adult and includes one free child. Additional children are £1. Entry includes free entry to Magna Science Adventure Centre + Sci-Tek Play Park so you can really make a full day out of it all! *Santa’s grotto is an additional cost at £4.95 per child, includes small child’s gift – you are welcome to take your own photos.